DVDs were first introduced in the US in 1997. They quickly became the go-to choice for home video distribution. This completely digital format has many features, like chapter selection and subtitles, which makes it the popular choice for consumers today. DVDs take up less space than VHS, and movies can be longer and higher quality. People wanted a convenient way to record their events to this new format, and MiniDVD was the answer. Using a small camcorder, you can easily record to the miniature disc, and then play it in your standard DVD player. The biggest problem with optical discs is scratches. They can prevent proper playback of a disc. Also, since they are about half the size of a regular DVD, MiniDVDs can’t be played in slot-loading DVD players. If you didn’t know that, and gave it a shot, you found out the hard way that it just doesn’t work. MiniDVDs also need an additional processing step before being ready for playback. This step was often forgotten by consumers, leading to frustration and many people believing their precious memories were lost forever. Los Angeles Video Transfer Service uses high quality encoders to interpret the footage stored on discs and convert them to high quality digital files. We can restore missing data on un-finalized discs. 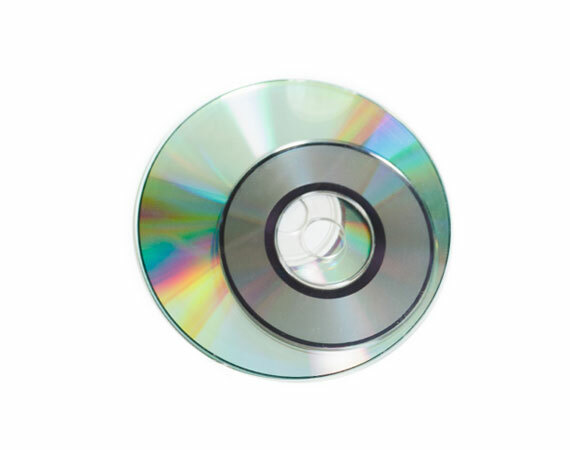 We can also repair minor scratches on DVDs in order to capture the best transfer possible.